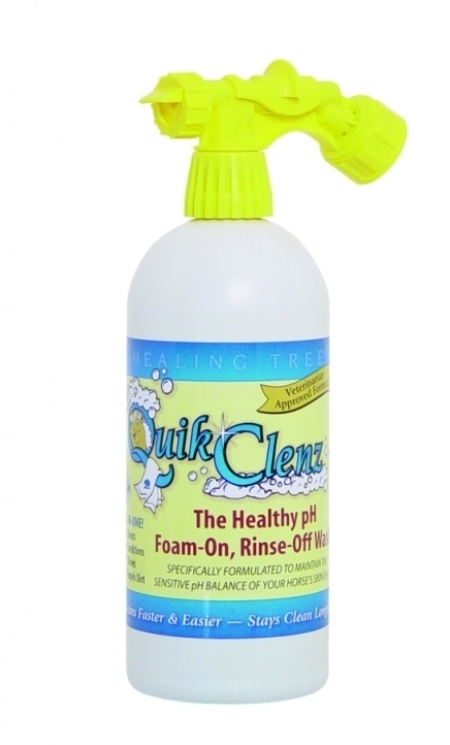 Healing Tree QuikClenz is the healthy way to quickly and effectively wash your horse! The pH of QuikClenz is 6.5 the same as Baby Shampoo (unpolluted rain water has a pH of 6.2) allowing it to rinse cleanly, leaving both the skin and hair coat healthy! QuikClenz contains conditioning and brightening agents to make your horse SHINE! No need for scrubbing - just foam horse with Quikclenz, let it soak for a minute or two then rinse it off - its that simple! As gentle as rain water!